The industry of metatuff axes and adzes on the western coast of Onega Lake (Eneolithic period, ca. 3500 – 1500 cal. BC) allows assuming some sort of craft specialization. Excavations of a workshop site Fofanovo XIII, conducted in 2010-2011, provided an extremely large assemblage of artefacts (over 350000 finds from just 30 m2, mostly production debitage). An attempt to estimate the output of production within the excavated area is based on experimental data from a series of replication experiments. Mass-analysis with the aid of image recognition software was used to obtain raw data from flakes from excavations and experiments. Statistical evaluation assures that the experimental results can be used as a basement for calculations. According to the proposed estimation, some 500 – 1000 tools could have been produced here, and this can be qualified as an evidence of “mass-production”. Andrefsky, W. Jr., 1998, Lithics. Macroscopic Approaches to Analysis. Cambridge University Press, Cambridge, 258 p.
Apel, J. 2001, Daggers knowledge and power: The social aspects of flint dagger technology in Scandinavia (2350-1500 cal BC). Wikströms, Uppsala, 363 p.
Barzilai, O. 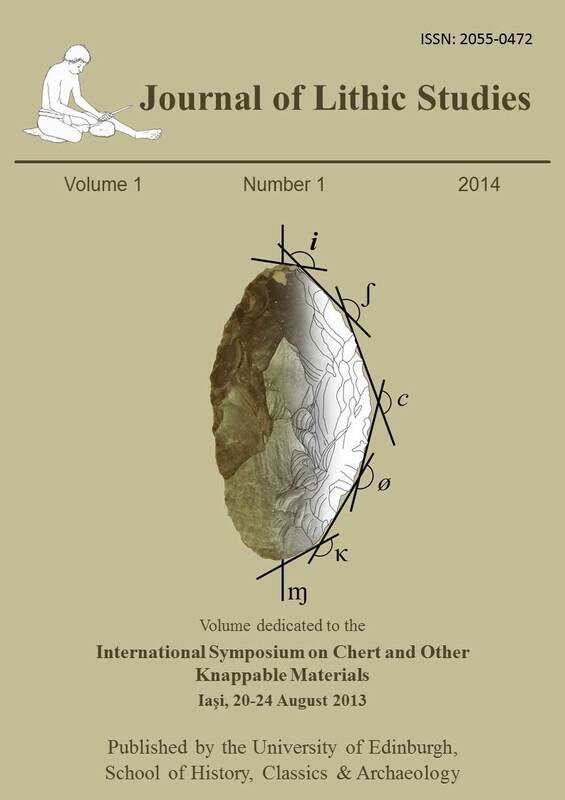 2010, Social complexity in the Southern Levantine PPNB as reflected through lithic analysis, BAR International Series Vol. 2180, Archaeopress, Oxford, 194 p.
Halen, O. 1994, Sedentariness during the Stone Age of Northern Sweden in the light of the Alträsket site, c. 5000 B.C., and the Comb Ware site Lillberget, c. 3900 B.C. Source critical problems of representativity in archaeology, Acta Archaeologica Lundensia. Series in 4o, No. 20. Almqvist & Wiksell, Stockholm, 290 p.
Karjalainen, T. 1999, Sedentariness and dating Stone Age houses and sites, In: Dig it all. Papers dedicated to Ari Siriäinen, (Huure, M., Ed. ), The Finnish Antiquarian Society and The Archaeological Society of Finland, Helsinki: p.185-190. Katiskoski, K. 2002, The Semisubterranean dwelling at Kärmelahti in Puumala, Savo province, Eastern Finland, In: Huts and Houses: Stone Age and Early Metal Age buildings in Finland, (Ranta H., Ed. ), National Board of Antiquities, Jyvaskyla: p. 171-200. Mökkönen, T. 2011, Studies on Stone Age housepits in Fennoscandia (4000 – 2000 cal BC): Changes in ground plan, site location, and degree of sedentism, Unigrafia, Helsinki, 86 p.
Nordquist, K. & Seitsonen, O. 2008, Finnish Archaeological Activities in the Present-Day Karelian Republic until 1944, Fennoscandia Archaeologica, 25: 27-60. Odell, G.H. 2004, Lithic Analysis, Manuals in archaeological method, theory, and technique. Kluwer Academic/Plenum Publishers, New York, 262 p.
Pelegrin, J. 1990, Prehistoric lithic technology: Some aspects of research, Archaeological review from Cambridge, 9(1): 116-125. Pelegrin, J.P. 2004, Blade-making techniques from the Old World. Lights and applications to Mesoamerican obsidian Lithic technology, In: Mesoamerican lithic technology. Experimentation and interpretation, (Hirth, F.G., Ed. ), University of Utah Press, Salt Lake City: p. 55-71. Pesonen, Petro 1996, Archaeology of the Jaamankangas area – with special reference to the Rääkkylä Pörrinmökki Stone Age settlement site, In: Environmental Studies in Eastern Finland. Reports of the Ancient Lake Saimaa Project, (Kirkinen T., Ed. ), Helsinki Papers in Archaeology Vol. 8, Yliopistopaino, Helsinki: p. 93-117. Pesonen, Petro 2006, One house – two households? An investigation of a Late Subneolithic pithouse in Kuorikkikangas site, Posio, southern Lapland, In: People, Material Culture and Environment in the North. Proceedings of the 22nd Nordic Archaeological Conference, University of Oulu, 18-23 August 2004, (Herva V., Ed. ), University of Oulu, Oulu: p. 198-213. Petrequin, P., Petrequin, A.-M., Jeudy, F., Jeunesse, Ch., Monnier, J.-L., Pelegrin, J. & Praud, I. 1998, From the raw material to the Neolithic stone axe: Production processes and social context, In: Understanding the Neolithic of North-Western Europe, (Edmonds M.R. & Richards C, Eds. ), Cruithne Press, Glasgow: p. 277-311. Tarasov, A.Y., Kriiska, A. & Kirs, Yu.. 2010, Свидетельства обмена между населением Карелии и Эстонии в финальном каменном веке: по результатам археологического и петрографического изучения рубящих орудий русско-карельского типа с территории Эстонии, Труды Карельского научного центра РАН, 4: 56–65. (in Russian) (“Evidences of exchange between inhabitants of Karelian and Estonia in the Final Stone Age: basing on results of archaeological and petrological studies of chopping tools of the Russian Karelian type from the territory of Estonia”). Torrence, R. 1984, Monopoly or direct access? Industrial organization at the Melos obsidian quarries, In: Prehistoric Quarries and Lithic Production, (Ericson E. & Purdy B., Eds. ), Cambridge University Press, Cambridge: p.49-64. Ukkonen, P. 1996, Osteological analysis of the refuse fauna in the Lake Saimaa area, In: Environmental Studies in Eastern Finland. Reports of the Ancient Lake Saimaa Project, (Kirkinen T., Ed.). Helsinki Papers in Archaeology Vol. 8, Yliopistopaino, Helsinki: p. 63-91. Zhulnikov, A., Tarasov, A. & Kriiska, A. 2012, Discrepancies between conventional and AMS dates of complexes with Asbestos and Porous Ware – probable result of “reservoir effect”?, Fennoscandia Archaeologica, 29: 79-86.